LANCASTER – A man who was shot in the stomach in an alley in Lancaster has died and was identified Wednesday. The shooting happened about 6:55 p.m. Sunday, Dec. 2, near Lancaster Boulevard and Standridge Avenue, Sgt. B. Kinsella of the Lancaster sheriff’s station said. 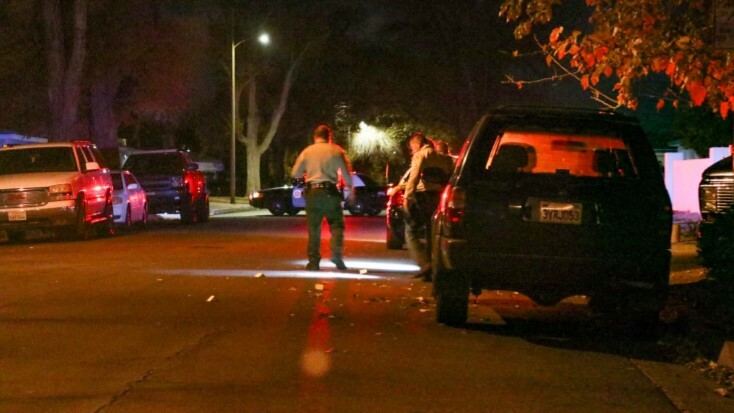 The victim, identified as Kevin Thompson, 31, was transported to a hospital and succumbed to his injuries on Monday, according to the Los Angeles County Coroner’s Office. The victim was “unwilling” to provide deputies with information about the shooting, Kinsella said. 12 comments for "Man shot in Lancaster alley dies, identified"
I remember being at av hospital when they had tge smoking area outside and remember a nurse sitting there repeating multiple times how some man just came in with a sprained toe and now he is dead. I’ve heard all kinds of those kinds of stories about the place and even known people similar happened to there and seems those long shot freak sudden unrelated deaths happen a lot more at av than most places. I will add they seem to have an awesrome cardiac unit tho. Won’t even get into giving birth in the place tho. If you can’t say something nice and all that. But as for the original story my sincerest sympathy and condolences for the family ands friends of this man. I have now read two of your rambling comments and fail to make much sense of any of it. Slow down, take a breath and try to coherently make your point so we can all enjoy your insight. I am not even sure if you HIGH DESERT COMMUNITY or HIGH DESERT COMMUNI. It costs $21k to treat a gunshot wound for just the first thirty-five minutes of work in the ER. The govtech site published this info in July 2017. Well he was transferred to AV hospital, that speaks for itself, not many make it out with either staff infection, worse condition than when the entered or death. Oh BS. AV Hospital treats hundreds of people every day. If what you are saying were accurate they’d have depopulated the entire valley by now. Try being just a little bit realistic. That’s not an accurate statement. AVH contracts with a top-notch ER group of physicians that have been granted trauma treatment status, which means higher level of medical care. Their stats are impressive. My mom had the same issue as you did and her trauma surgeon and the ICU staff saved her life. I am so grateful to all of them.